I have a rule never to mix business and politics. 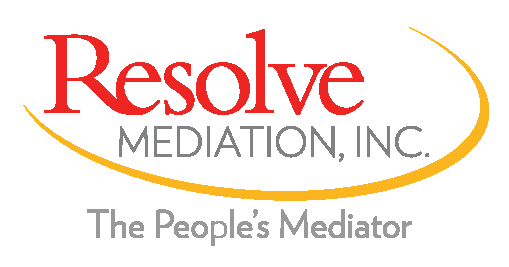 I focus on the business of mediating and educating in the community association industry. Yet interestingly, in that industry, sometimes politics bleeds into business. How so? Like local, state and national government, community associations hold elections, vote for a governing Board and rules that amend, comply and support governing documents. This maintains order residents live by within the association. There are rules about pets, flying a flag and what is permissible, or not, when displaying Christmas decorations, parking rules, clubhouse rules and the list goes on and on and on ad nauseam. The political climate in the United States has been dubious, at best. This past week, the country experienced an unbalanced, disturbed man mailing pipe bombs to high ranking government officials and another disturbed man who opened fire on a congregation in their place of worship. While these events may not appear to be relevant to community association living, they are. Each of these events have to do with how we treat one another, how we look at each other, interact and engage with one other. In your community you may pass the same neighbor everyday going to your car or picking up your mail, walking your dog or bringing in your groceries. How do you interact with your neighbors? Do you turn away and ignore them, say “hello,” or give an acknowledging nod, perhaps smile? At Board meetings are you at odds with your neighbors, the Board members, yelling and screaming or willing to listen and discuss the items on the Agenda, dealing with the politics of the business of the association? There are several anecdotes for successful, communication and interactions. 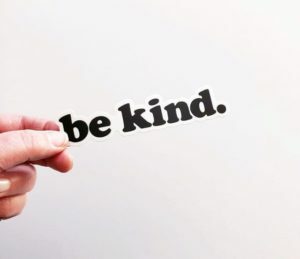 Of those, simply “be kind.” When I open a mediation conference, in addition to the process set forth by the Florida Statutes, I add a few of my own anecdotes, including to “be kind.” Being kind with our words, tone and body language sets the stage for productive dialogue. In a recent interview on the BBC news program Beyond 100 Days, anchors Katty Kay and Christian Fraser asked Jeh Johnson, former US Secretary of Homeland Security in the Obama Administration, about the discourse in the political climate the US is currently experiencing; they were asking if President Trumps rhetoric incites the actions taken by the disturbed individuals. While you may agree or disagree, and I have no opinion here, his answer resonates my message: “Words do have consequences.” There is SO much power in our words and actions and when we’re mindful of how we use that power we have greater success in reaching productive goals. That power lies in how we communicate. In negotiation it is important to listen to what the parties are saying. In your day-to-day interactions with others do you actively listen when someone is speaking? Do you acknowledge them with eye contact and nonverbal cues such as shaking your head in recognition? Do you take the appropriate moment to ask questions and show you’re engaged, wanting to understand more? These simple exchanges lead to better, more effective ways of communicating. When you are truly engaged you show that you care about the issue(s) at hand, what the speaker is saying and inadvertently, you are acting in kindness.